The P-series Mitsubishi Mr Slim ductless heat pump air conditioners (also known as ductless mini-splits) are perfect for use in larger residential and light commercial applications. Whisper-quiet and extremely reliable, these systems go where ductwork can't - Computer and phone rooms, room additions, music studios, churches, and restaurants, to name just a few. The indoor wall mounted unit delivers enough cold or warm air to make any space more comfortable and simply mounts on the included wall bracket and connects to the outdoor section through a small 3-inch opening in the exterior wall. (To run lines for refrigerant and to drain the condensate). The Mitsubishi Mr Slim light commercial P-Series fills larger spaces with substantial heating and cooling from a compact, wall-mounted package. Walk into any room and all you'll notice is the perfectly comfortable climate. What you may not notice is the system itself, for it mounts high on the wall and blends nicely into the space. We all know what air conditioners and heat pumps can cost to operate but forget everything you know and consider the dime: That's right the dime. Because as little a 10 cents will get you one hour of comfort with this new Mitsubishi Ductless Split System. Imagine never having to worry about high power bills again; just dial in a comfortable setting and walk away. In fact, with SEER ratings of 13.0, the light commercial Mitsubishi Mr. 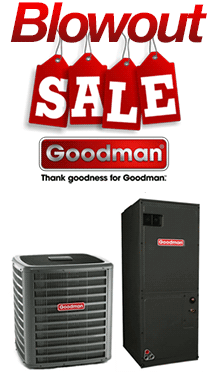 Slim ductless heat pump is one of most efficient and cost-effective systems you can buy. Mitsubishi engineers designed these systems to provide peace of mind from both a comfort and energy standpoint. Bottom line? The Mitsubishi Mini Split Heat Pump Inverter System will out-perform a standard ductless heat pump by maintaining up to 82% of its rated heating capacity all the way down to 17 degrees Fahrenheit. At this temperature ordinary heat pumps produce very little heat (less than half of their rated capacity in most cases) and need to be supplemented with another heating source to keep you warm. With wall-mounted, ceiling-recessed, ceiling-suspended and horizontal ducted options, capacities of up to 42,000 Btu's of cooling or heating performance and available Hyper-Heating INVERTER P-Series technology that provides 100 percent heating capacity down to 5 degrees F, Mitsubishi Electric systems have the perfect solution for almost any building. Convenient and efficient zone control means you can cool or heat only the spaces in use. You can even have single or dual controllers connected to one system. The controller does not even have to be in the space shared with the indoor unit. Features of the controller include a weekly timer, temperature range limiting, auto-off, expanded fault codes, and service call number display. In 2009 Mitsubishi Electric was given the GREEN PRODUCT award by the industry-leading publication,Â Building Products Magazine . They were one of only 16 products to receive this award for energy efficiency, resource efficiency, and health and comfort.